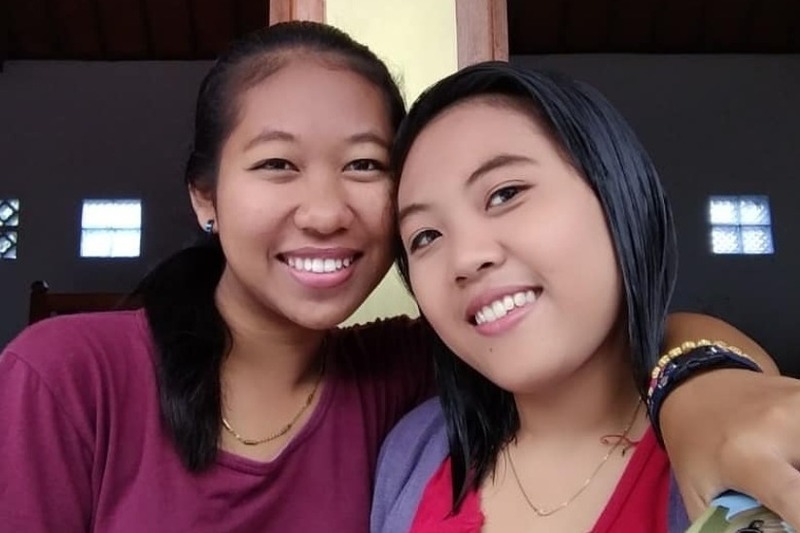 Nanti, Sinta and Merci, three children from Panti Asuhan Alas Kasih orphanage in Negara, West Bali, Indonesia, will be finishing high school mid year. The goal is to raise enough money to help all these children attend university. This would be incredible if we could send all of them but even sending one of these kids to university would change the course of their life, and of those around them. The kids need new hope now more then ever with the drowning of one boys from the orphanage on new year's eve. The bonds between the kids are like those of siblings and the loss of Louis has hit the orphanage with heartache and suffering. 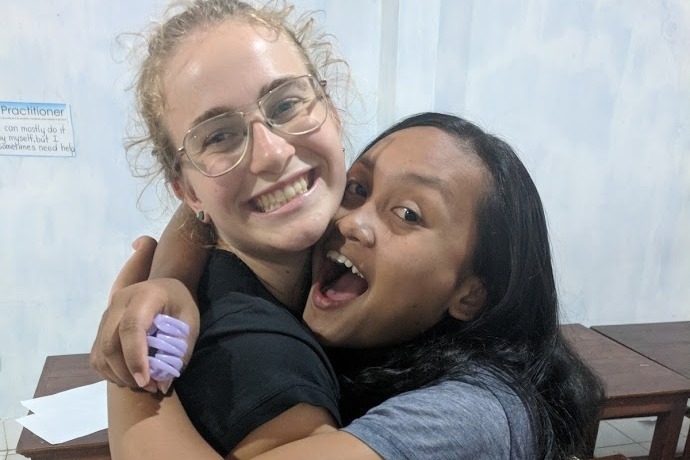 I have been lucky enough to meet these kids and even stay in the orphanage with them, and I can say without a doubt that they are some of the most kindhearted and loving people I’ve ever met. Despite their unfortunate living circumstances the orphanage is often filled with the sound of singing, music and laughter. Their hearts are so open to giving love and kindness to others, even complete strangers. As some of the kids told me their stories, I was so amazed by their optimism and the love they radiate, despite the horrible situations they have already had to face at such a young age. It is often the less fortunate people that are given a step up in life, that then go on to help others. They know what it feels like to be helpless and they have seen the impact of giving on their life so they understand how important it is to give back. I witnessed this first hand when one of the orphans spent some of the little money he had earned from working, to buy me some flavoured soy milk treats as a gift. It warmed my heart to see someone who has so little to still do what he can to give. By helping these kids achieve more you are not only helping them, you are helping their family and friends and the many others whose hearts these kids have touched. Panti Asuhan Alas Kasih orphanage in Negara West Bali, Indonesia is home to 37 Children aged from 9-13. The children come from unfortunate circumstances, many with one or both parents deceased or ill, leaving the family with no income and unable to feed, let alone educate their children. Some of the children comefrom families where the parents just don't have enough money to support their children. Many have younger siblings that will live at the orphanage as well once they reach school age. The orphanage heavily relies on donations to provide the children with food, water, clothes, education and shelter. The children leave the orphanage after they finish high school, and then go on to support their families through a low paying job. In Bali the minimum wage is 494,700Rp ($47AUD/£26/€30/$34USD) for a 40 hour week. Many of the children are from families of low social status. In Indonesia this greatly hinders their chance of getting a well-paying job. Along with having no further education the children stay confined to the poverty cycle. You can help break the poverty cycle by providing these kids with the opportunity to attend university and giving them a brighter future. It will cost about of $2500AUD/$1800USD/€1580/£1400 to send each child to university for a year. Any leftover money will used to buy textbooks, uniforms and school supplies. In Indonesia doing even just one year of university puts you at a huge advantage to get a decent job. We need to raise the funds by the end of July. 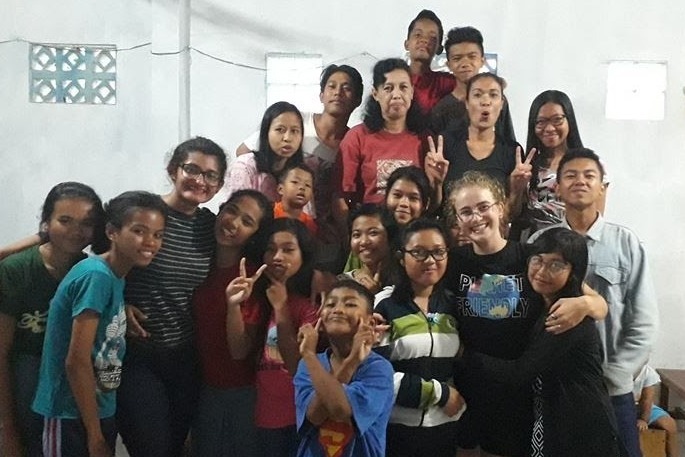 This go fund me has be organised with the help of Jenny, a gorgeous Indonesian woman who teaches English with volunteers at the orphanage. Hello, my name is Nanti. I was born in Yehembang on the 18th of December 1999, so I am currently 19 years old. In my family I am the youngest child of 4, I have 2 older sisters and one older brother. My oldest sister has already passed away due to her being seriously ill. I am the the only child that is at school age and able to get an education. My parents hope that I can become the child of my family that can change my family’s current situation. My parents are my motivation in my life, because without them I would not be in this world. My father and mother both work hard as labourers so that I can eat and meet my educational needs at my school. I am proud to have parents like them. I hope that once I graduate from High school I can go straight to University so that I can have a great education which will help me to achieve my dreams. My dream is to become a marketing manager in a high star hotel. I hope to be able to choose the hotel that I work in, hopefully in Australia. I have already been living in this Orphanage for 3 years now and I am happy living here because I have many friends here. We have different religions in this Orphanage. In this orphanage I was able to find god and get to know God, the one who always helps me in difficulties I face in my life, and has led me to a life of abundance. I am really grateful that I live in this orphanage although sometimes I complain with what I don’t have but many others do have in their life. Hello my name is Ni Komang Mersiani, but you can call me Mersi. I was born in Singaraja on the 31st of December 2000, so I am currently 18 years old. I go to school at SMK Marsudirini Negara. I have 2 older sisters and they are already married, so I am the final hope for my parents. Both my parents work in odd jobs here and there. They both work really hard for my life, they are my angels and my breath. I have already lived in this orphanage for almost 6 years, since I was in primary school. Before I lived in this orphanage I lived with my parents, in a village called Ungga. I live in this orphanage because my parents tried their best to look after me in their home but there just was not enough for all of us. I almost wasn’t able to go on to high school, just to primary school. 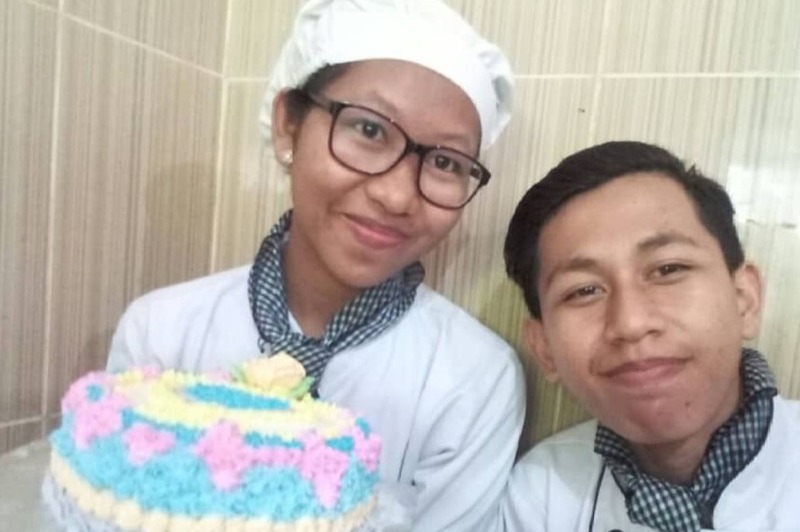 My hope is to graduate school, go to university so that I can get a good job, and one day reach my dream to have my own bakery. My dream is to become a bakery owner, because my hobby is cooking, mainly cake and desserts. My dream is also to go to Australia and japan and hopefully one day invite my parents there too. But my biggest wish in my life is to become a person that my family is proud of. If my life is like that, I can prove I come from parents who are kind and good, and I'm an orphan which is successful. In this way I can also become a blessing for other people, so that people can be inspired by my life too. Initially, I felt sad that I had to live in an orphanage. But now often I am thankful that I live in this orphanage, I have many friends and I was introduced to God, whom is abundantly more beautiful than all. Besides from that, at the very least I lightened the burden from my parents. And there are many people who care for and love me in my life. With a desire which is strong and a wish and dream which is deep, no matter how hard my life is I must continue. They are all my wishes. Thank You. Hello, My name is Sinta Natalia Sagita Taopan. I was born on December 26 2001, so I am now 17. I have on elder sister and 2 younger sisters. My father is a builder. My parents don't have enough money to pay for my school fees so I have lived in Alas Kasih Orphanage since I was 9 years old. After I graduate from high school I aspire to work in tourism on a cruise ship, and to achieve this I need to go to university. I have to keep spirit and give all I can because I want to make my parents proud and everyone who loves me. I want to be a successful person so that later I can help other people. Even though I feel sad because I live in an orphanage and away from my family, I am still grateful to be in the orphanage where I have many friends and can learn many things. The children singing thanks before a special meal.